apologies for the interruption to the norm, but i had to post this picture. there was a time when eva green was my only hollywood crush. then she disappeared. i hope she makes a comeback soon. she’s a total fox. wife, if you ever want to surprise me at home for a special occasion, please wear this exact outfit. thanks. my wife and i watched the sting this past weekend with paul newman and robert redford. it was my first time to see it. incredible movie. it’s amazing how many other movies have copied the sting’s formula. 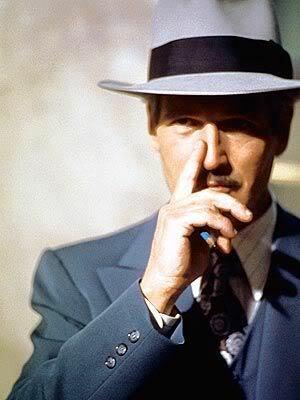 before i go any further into this post, i want to point out that the sting won 7 oscars in 1973 including best picture and best costume design. if you haven’t seen it, please check it out immediately. 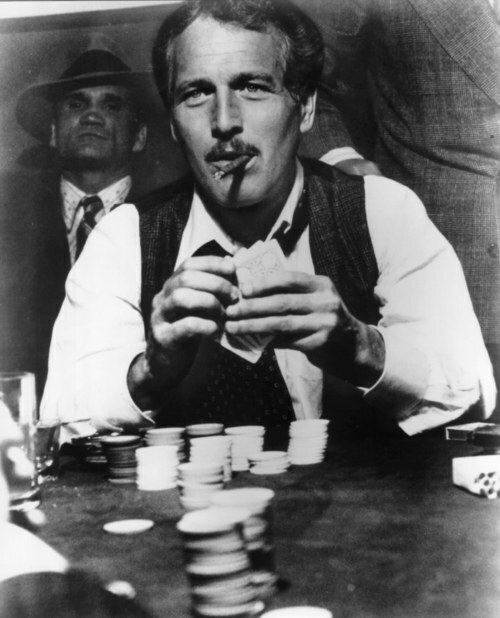 newman’s mustache in the film should have garnered a best supporting actor nod. it stole every scene newman was in. nowadays mustaches are associated with child molesters and ironic hipsters, but that’s not how it used to be. i watch all these old movies where many upper class people donned mustaches. they weren’t trying to hide anything. it was more of a necessary accessory like the bow tie is to the tux. a well groomed mustache with good intentions is a classy look. don’t grow one for a laugh. grow one because it fits your lifestyle. let’s leave the ironic mustaches to the last decade. they’re not funny anymore. i’m hoping this picture looks a lot better on your computer than it does on my awful work computer (dell). i caught this page in the newest issue of garden and gun with the avett brothers on the cover. 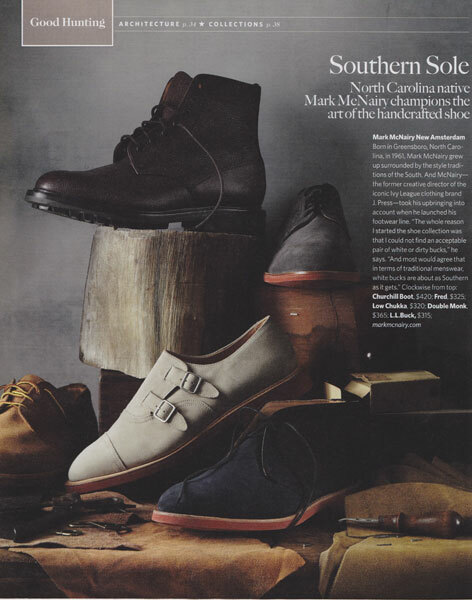 i have a love/hate relationship with mark mcnairy. some of his collections are a little too off-the-wall for me – like the white bucks with the bright blue sole – but occasionally he will surprise me. i almost wrecked my car when i saw these double monk bucks. i’m a sucker for red brick soled shoes. he seems to like them too since 70% of his shoes have them. i also love the long wing boot he did with engineered garments. on another note, i still don’t own any double monks because i can’t find any that i like. i emailed lawrence of sartorially inclined while i was in new york to ask him where i could find a pair in a decent price range ($250-$450). he told me you couldn’t get quality double monks for that price and to wait for his run of the mill ones to come out this spring. my curiosity is piqued. i’m looking forward to seeing those. two of my favorite items on earth are my barbour bedale and my bean boots. 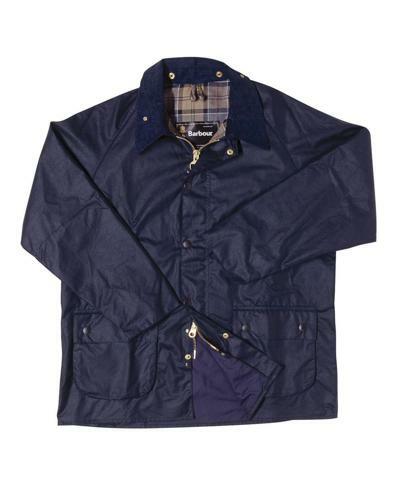 when i was in nyc last weekend, i stopped by the barbour store in soho and fell in love with the navy bedale. i don’t know if i’m sick of my green one or just wanting something new, but i really dig it. 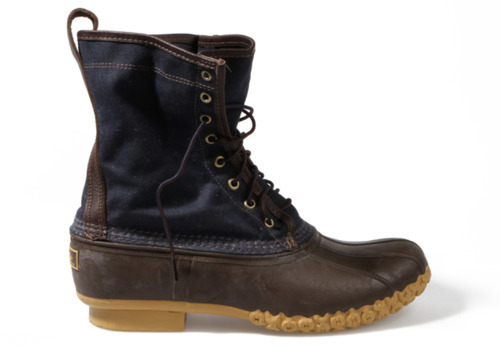 i also like the navy waxed canvas bean boots from l.l. bean’s signature line. yesterday i saw pics of them on a couple of different blogs i read and thought it might be fate telling me i needed some. obviously navy is not a new color, but i’m starting to see it more as an option for products i like. one might worry that navy doesn’t look good with jeans, but i disagree completely. i think you can wear jeans with anything. not scared of denim on denim either. my wife gave me apple tv for my birthday last week. it’s everything i hoped it would it be. besides being able to rent and stream movies from my mac, i can stream movies from netflix. 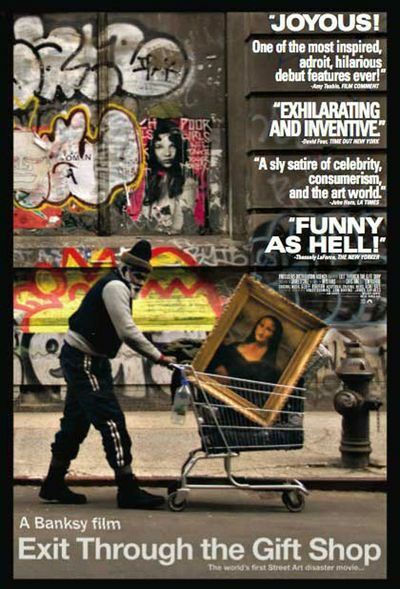 one film i just recently watched was banksy’s exit through the gift shop. banksy is one of the world’s most famous street artists. the film begins as a documentary about banksy, but banksy decides the film’s director, thierry guetta, is a much more interesting topic. guetta then becomes obsessed with being a street artist and putting on a show of his own. i probably didn’t do a great job of making the plot sound interesting, but the real catch is who the prank is on. is it on thierry guetta or is it on the audience? much has been debated on whether or not the movie is real. i don’t think it takes a rocket scientist to figure that question out, but it’s still worthy of a debate. exit is up for an academy award next month for best documentary. banksy, whose identity is unknown, says he would show up to accept the award. something tells me he’ll have some kind of disguise planned. exit is definitely worth a watch if you have time. j. crew has started to release some spring items on their website. 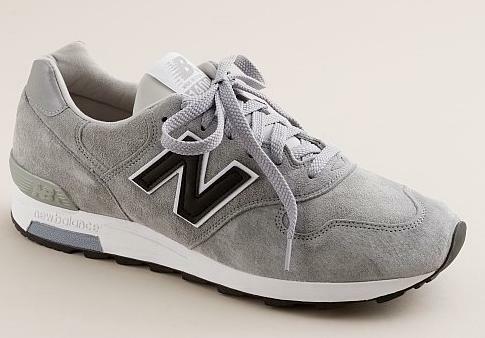 something i noticed immediately were new colorways for the new balance 1400s. as i stated earlier this week, i’m a big fan of gray athletic shoes. i like the green and navy 1400s, but these are now my favorites. the other two new colors are a nasty looking orange and black. not sure what they were thinking there, but you can’t hit a home run every time. if you make it over to the website, be sure to check out the alden chukkas (in suede and shell cordovan). i’d kill for the shell cordovan chukkas, but at $600 i don’t think i’ll be seeing them any time soon. there’s also a bunch of other stuff that was released but not as exciting as these two items. our slide buckles are hand casted in the united states by master metal workers who make their own waxes and finish the buckles by hand. these two steps are the keys to great buckle making. 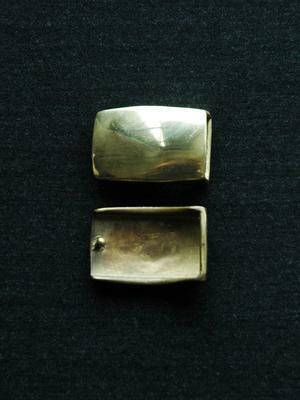 the buckle is made to fit a 1” strap with holes and has a smooth surface. these should be worn with jeans to suits. i couldn’t have said it any better. if you’re looking for a perfect gift for someone, get them a monogrammed brass belt buckle from sid mashburn, but let the recipient find the right strap. it’s half of the fun.